Do you know what is EPDM rubber roofing coating system? 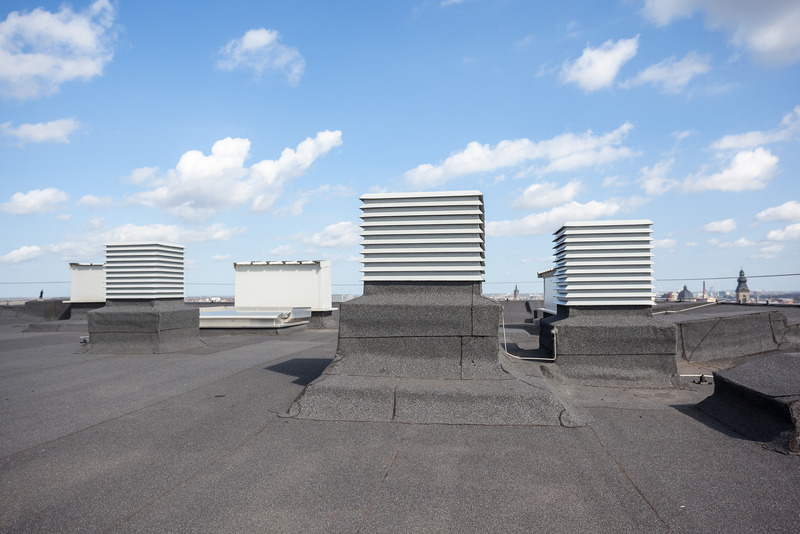 It’s an effective system complementing ethylene propylene diene monomer (EPDM) roofs. Just like special metal roof coatings, EPDM coating systems add another layer of protection that has added benefits for property owners. Indeed, only a handful of EPDM roof coating system manufacturers exist all over the world. However, this is proof that EPDM is truly a durable roofing material. If installed effectively, EPDM can live up to 30-50 years with careful maintenance. Now, imagine adding an extra 30-50 years to the lifespan of the EPDM roof on your property. In addition, you have a repair tool capable of repairing any present damages on the rubber roof itself. That’s how amazing rubber roof coating systems are. If you’re not convinced, read on about the vulnerabilities of EPDM. 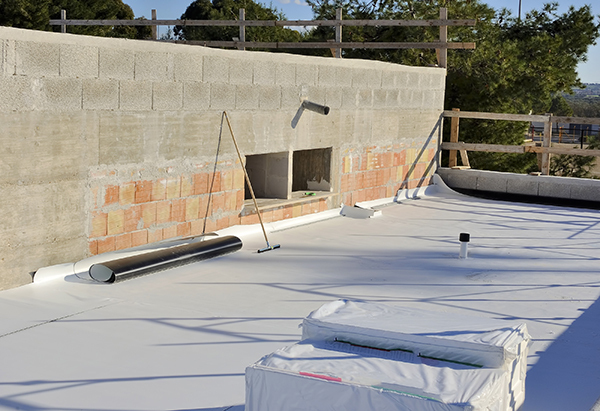 Thereafter, you’ll find the numerous advantages rubber roofing coating systems give you. 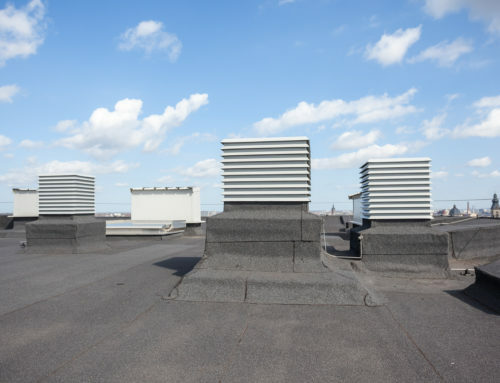 Many commercial properties use EPDM roofs and reinforce them with coating to lengthen their lifespan. Ethylene propylene diene monomer (EPDM) roofs, also known as rubber roofs, come highly recommended by contractors. Made from recycled road-worthy tires mixed with saw and slate dust, manufacturers create an environmentally-friendly roofing material. However, its affordable price does not compromise its quality. All manufactured EPDM roofs must comply with ASTM D4637. 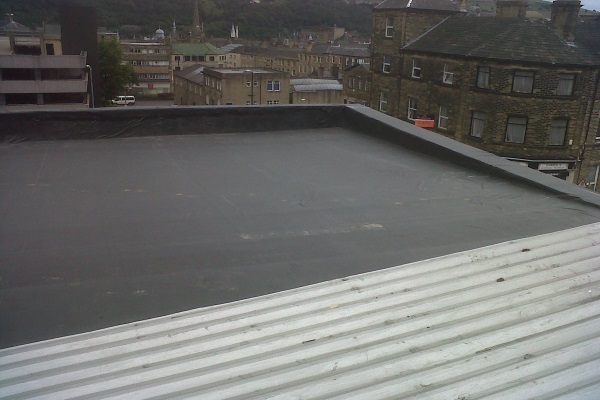 This ensures that all EPDM roofs will resist the impact of hailstones. The guidelines also ensure it has enough durability to outlast any weather within its estimated lifespan. However, despite the high EPDM manufacturing standards, they’re not perfect. Any small error in installation will mean huge repair costs. In addition, EPDM roofs are prone to high foot traffic. Consequentially, its durability and lifespan is reduced in the process. In this light, if you know what is EPDM rubber roofing system, you have an advantage. 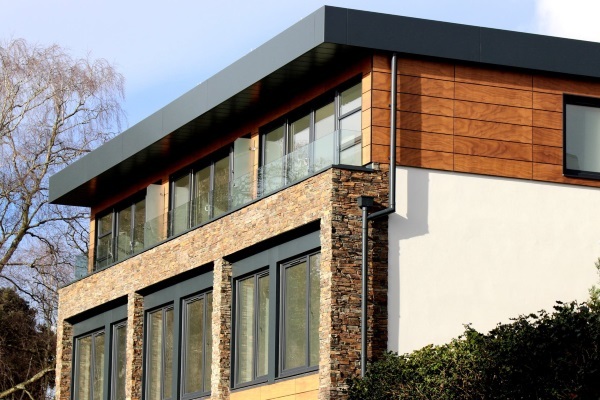 You can prolong the lifespan of your roof and enhance its durability. EPDM roofs are durable. However, they are imperfect. Coatings help strengthen them. What is EPDM Rubber Roofing Coating System? Contractors apply EPDM roofs in a similar fashion as metal roofing paint coats. However, EPDM rubber roofing coatings are not paint. As a matter of fact, they’re the same EPDM material but in liquid form. Rolled and unfurled EPDM sheets sometimes chalk or crack especially with frequent foot traffic. An additional coating removes the white spots across the surface of the sheet EPDM roof. The liquid material seeps into the cracks. In turn, this makes the rubber material whole and reduces tension damage. 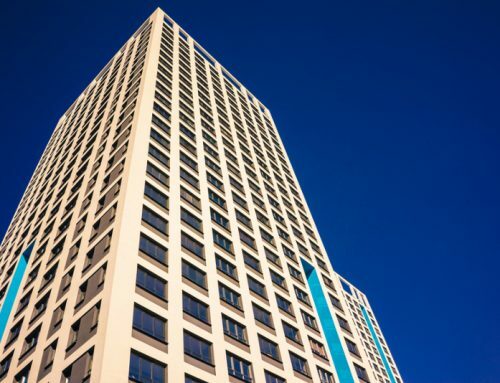 Unlike metal coatings, rubber coat systems do not need primers for use. In addition, it adds a third of thickness to your roof. In consequence, you have added automatically extra durability and lifespan. Now that you know what is EPDM rubber roofing coating system, see the gains you’ll get by using it on your roof. An extra single coat introduces a third of the original thickness of the EPDM sheet. Contractors will apply an extra coat to ensure all areas have balanced coating. Unlike elastomeric, acrylic, or urethane coats, rubber roofing coating systems dry up a bit longer, but offer better results. The thicker coating will make it possible for the EPDM roof to withstand several hailstorms. A single hailstorm will damage heavily any rubber roof if especially strong. In fact, softball-sized hailstones from severe hailstones will shut down a normal EPDM roof. An added rubber roofing coating system ensures it will withstand any hailstorm severity. In addition, it prevents detrimental leak-leading damage. Ergo, you have more than enough time to call on roofing services for repairs. What is EPDM rubber roofing coating system? Aside from a lifesaver, it’s a life extender. EPDM roofs can last for more than 30-50 years. In addition, they’re resistant to moisture. Molds, mildew, and other life forms will find no nourishment from synthetic rubber. Both roof ponding and foot traffic are the biggest damage-bringers to EPDM roofs. Contractors will increase the roofing slope to prevent ponding. 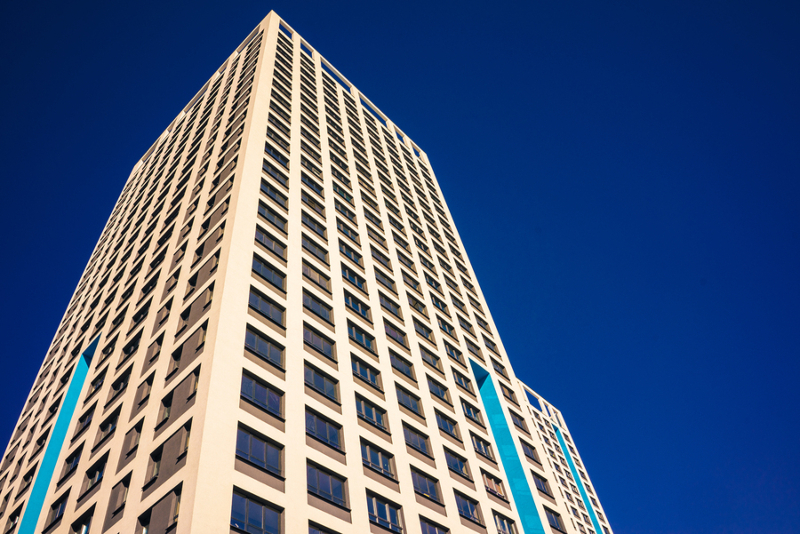 However, for most commercial properties, high foot traffic is unavoidable in most instances. 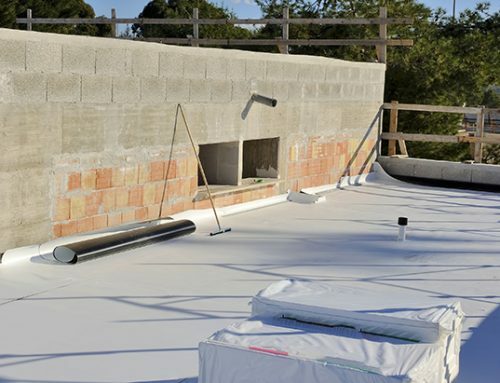 It is more expensive to remove the EPDM roof system and replace it with high-traffic susceptible material such as asphalt or tar and gravel roofs. What is the best solution? Indeed, it is EPDM rubber roofing coating system. The extra layer guarantees added protection against foot traffic. EPDM coating grants you better roof durability, enhanced lifespan, and helps with crucial repairs. In addition, the extra layer grants EPDM roofs automatic leak repairs. Considering another perspective, contractors will use EPDM rubber coats to repair small damaged areas of the existing EPDM roof. 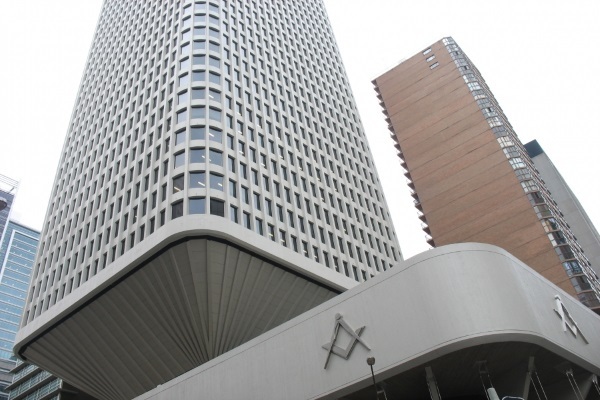 Consequently, property owners will find it advantageous. It cuts costs on having conventional EPDM roof repairs or even full roof replacement. Additionally, it helps them repair small leaks caused by ponding and foot traffic quickly. With leaks sealed and an additional layer in place, properties will have increased insulation. The thicker the material, the better it is at reducing the rate temperature molecules pass through the matter of the roof. Additionally, it will slow soundwaves. 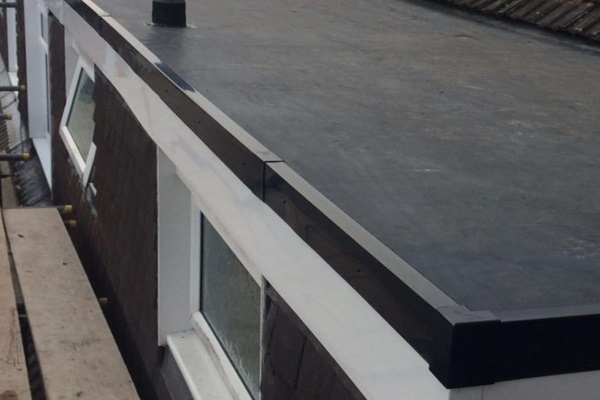 Therefore, all properties with an extra coat of EPDM rubber roofing system have quieter and tranquil rooms compared to a single-sheet EPDM-roofed property. Some residential properties also use EPDM roofs. Colored coatings help improve their curb appeal. Most manufacturers drive down the costs of EPDM production further by disregarding color. In turn, most available EPDM roofs in the market only have the color black. Indeed, EPDM roofs introduce excellent insulation. However, it leaves the property prone to UV ray penetration. In addition, it looks too plain when it comes to aesthetics. This makes it troublesome when it comes to curb appeal. EPDM rubber roofing coating comes in different colors just like paint. With color added, the EPDM roof now will reflect UV rays outward. This improves the insulation of the property further. Consequently, the color gives the property a better, personalized curb appeal. Now that you know what is EPDM rubber roofing coating system and its advantages, you’d agree with its benefits. You get an additional layer for less than the price you spend for a roof repair or replacement. However, proper EPDM rubber roofing coating application is necessary to achieve a flawless aesthetic and maximize the advantages it offers. Therefore, before you purchase a rubber roofing coating system, make sure to consult and work with a reliable roofing contractor first.